used to be one in my home when I grew up, but the memory is a vague one. (back in the fifites) so it’s great to find them now. Thanks to Ninonbooks’ Photostream Flickr entry. I particularly like the simplicity of the Z A poster..and how effective !! 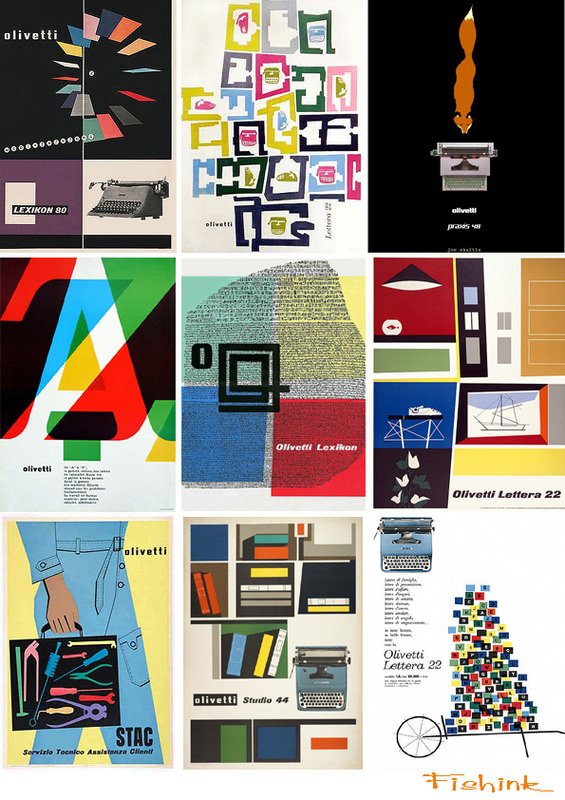 I am a big fan of the Olivetti posters. When I was in school I did an in depth report on Olivetti, which I didn’t know anything about beforehand. I was a little OCD about collecting images, but the posters were all so good, it was hard to just pick a few. An interesting thing to google – In 1955, Olivetti mounted one of their typewriters on a stand outside their New York Showroom on 5th Avenue and people lined up to try it out. A hidden camera was set up by Life photographer Michael Rougier and he took pictures of people typing short messages. 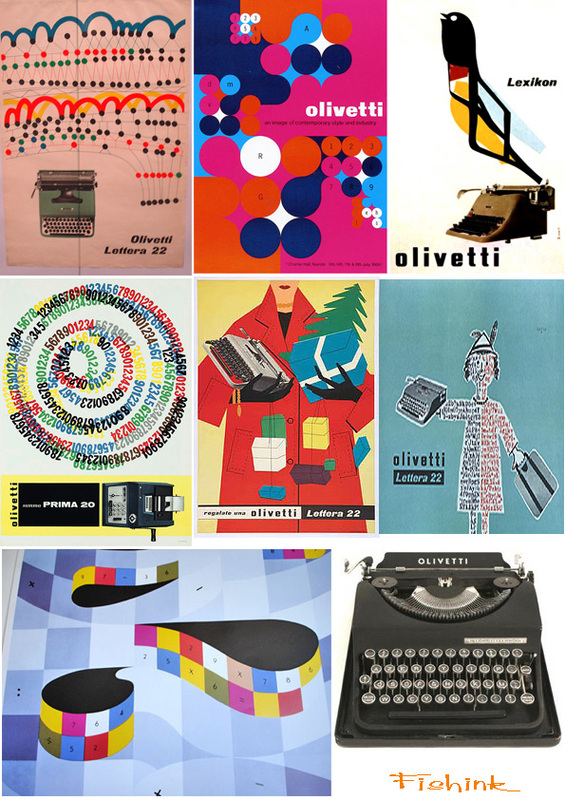 In looking at the power point I did for school I would like to share the last paragraph of it, and also encourage those who are not familiar with Olivetti to check it out.